The spot is located on the foothills of Kerala's western Ghat in India. The beauty of nature coupled with the graceful flow of Neyyar Dam water makes it the ideal place to meditate. Among the lessons learnt here includes hatha yoga courses which involves chanting, yoga practice and meditation. 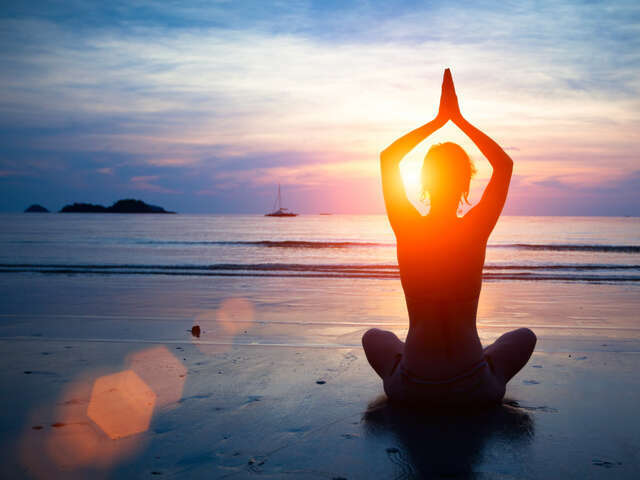 One of the most renowned relaxation and meditation exercises is Yoga. It not only helps a person concentrate and become one with nature but also focus less on his problems and more on relaxing. Below are the world's hottest Yoga Spots. This is the world's top yoga destination. It offers lessons in Yoga and is big on spiritualism. The spot is located on the foothills of Kerala's western Ghat in India. The beauty of nature coupled with the graceful flow of Neyyar Dam water makes it the ideal place to meditate. Among the lessons learnt here includes hatha yoga courses which involves chanting, yoga practice and meditation. Deep in the Greece countryside, you will find this yoga spot that offers the best yoga experience in Europe. You can indulge in the Asana yogi and meditation and pranayama. Amazingly, the place is only 5 minutes from the Beach and after a rigorous morning yoga exercise; you can relax on the sandy beaches of Greece. Located in Dolorex, Colorado, Dunton Hot Springs is a paradise for yogis. Amazingly, you can stay in log cabins, hike into the Rocky Mountains and you can enjoy the natural water springs spas. Is there a better place to do your yoga than in a rugged, mountainous terrain that is far away from civilization? This center is located in Ballytoughey, County Mayo in the western coast of the Republic of Ireland. It is specially dedicated to yoga practice. This retreat center is as traditional as they come. It features hillside hikes, traditional organic food and Yin and Ashtanga yoga along with some meditation. This is located in the Mayan Peninsula, Mexico. It offers local food and fresh juice. Amazingly, you can stay in a beach front cabana and meditate facing the ocean. Imagine the background lull of the sea waves as you do your yoga exercises...sounds amazing, doesn't it? Yoga is one of the most appreciated exercises in all human civilizations around the globe. Why don't you make a step further by practicing in a unique destination?